I’m a firm believer that you can’t have too many marinated grilled chicken recipes. Truly. I have at least a half dozen on my site, and I won’t hesitate to add more. 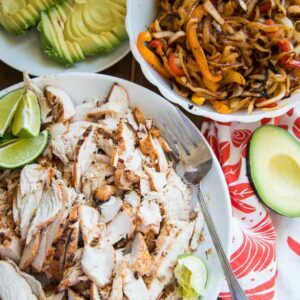 Marinated chicken is usually quick to put together and is an INCREDIBLY versatile base for an easy weeknight dinner. I’ll show you in a sec. 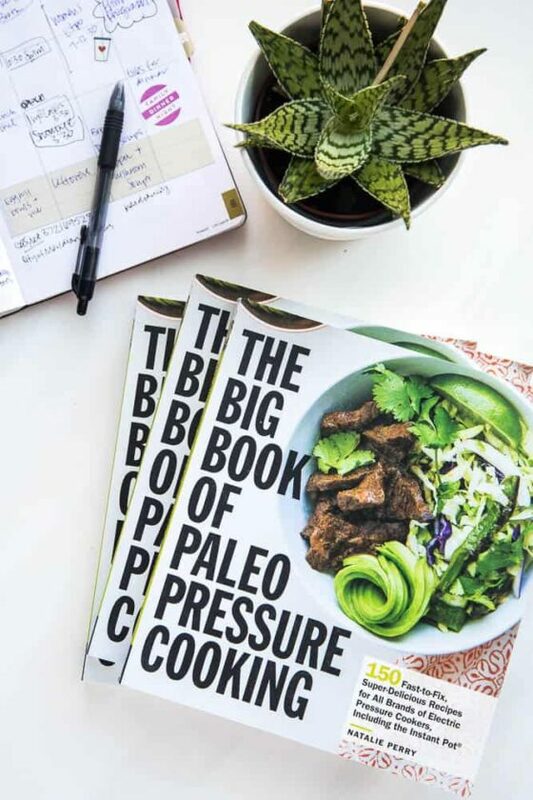 But, first I want to show you one of my newest favorite cookbooks! 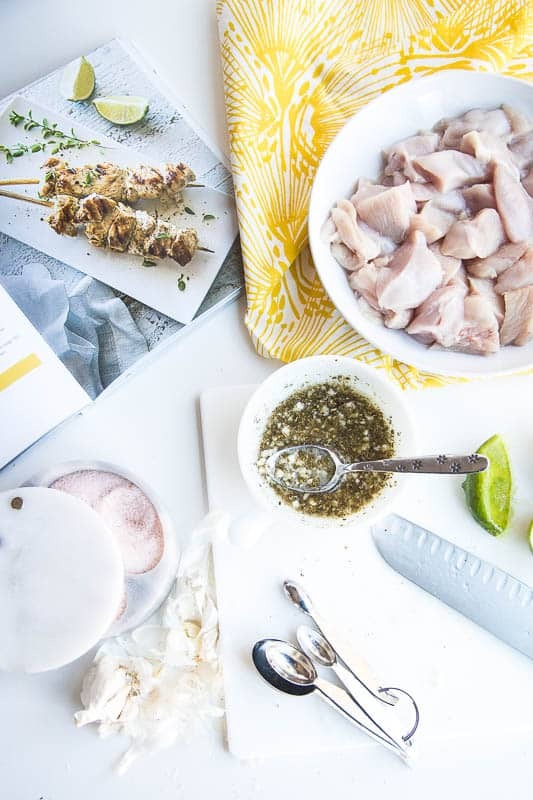 Latin American Paleo Cooking is written by Amanda Torres in collaboration with her Puerto Rican mother-in-law, Milagros Torres. 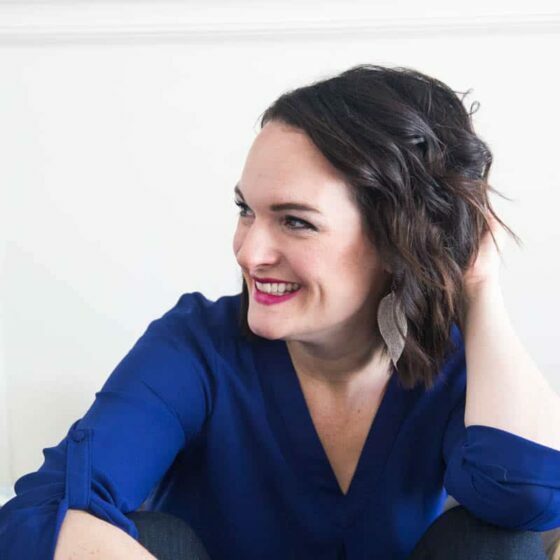 Amanda also blogs over at The Curious Coconut. 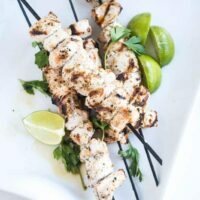 I decided to take a crack at her marinated grilled chicken kebabs because I (like many of you I’m guessing) am in desperate need of more easy weeknight dinners. And like I said before, you can’t have enough grilled chicken recipes. Confession time: Usually when I’m putting a recipe together in the Tex-Mex/Latin flavor profiles I reach for cumin. I LOVE cumin, but I think it can become a crutch sometimes. This marinate is cumin-free and has a fresh, tangy, Latin flavor. And there are only a few ingredients, which is even better. Another confession: I had planned to make these for dinner, but didn’t have a plan for the rest of dinner. While the chicken was marinated I dug around in the fridge and realized I had a LOT of salad greens that needed to be eaten. So, grilled chicken salads it was! I pulled out some greens, chopped some bell peppers and cucumbers and buzzed some avocado and cilantro into the half-jar of Paleo Ranch that was leftover. And I found some sprouted pumpkin seeds and crumbly Mexican cheese to make my kids excited. I can’t wait to dig deeper into Amanda’s book — especially the sauces section! Oh, and I’m dying to try the coconut milk flan, too. 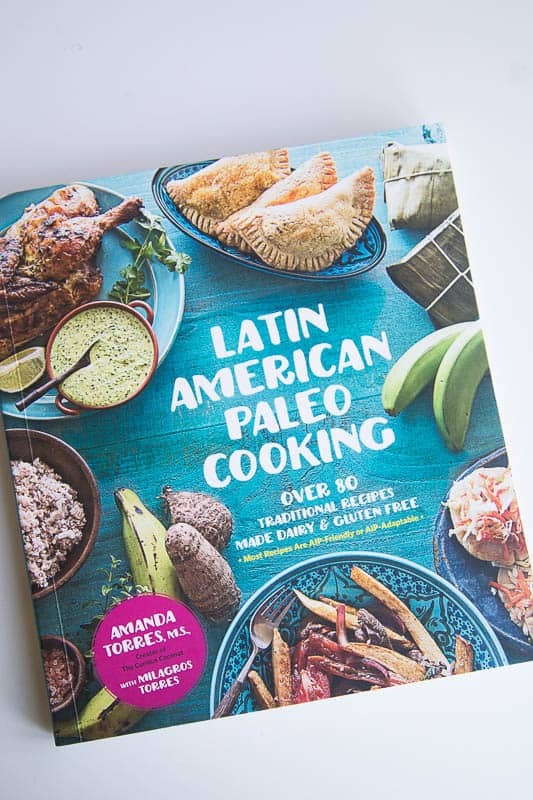 Go grab a copy of Latin American Paleo Cooking! 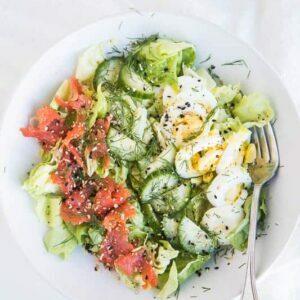 And bonus — most of the recipes are Auto-Immune Paleo-friendly or AIP-adaptable. 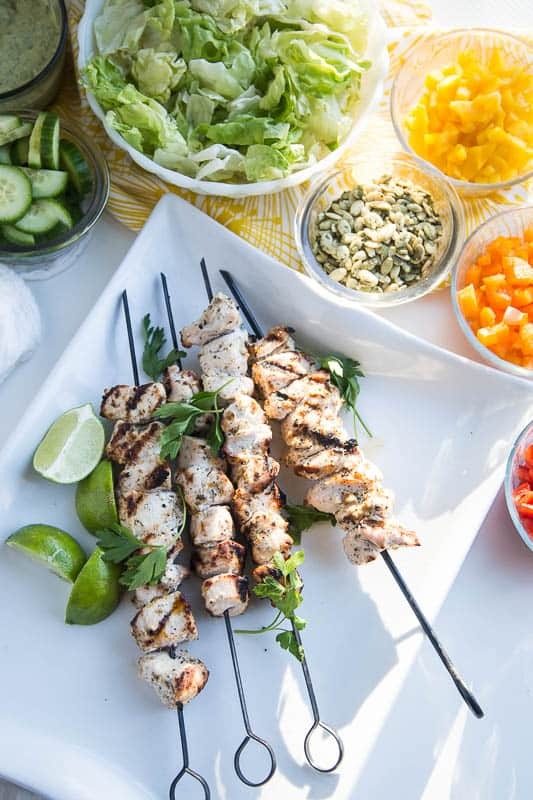 The simple, tangy marinade makes these grilled chicken kebabs come together in a snap! These are inspired by popular street food in Puerto Rico. If you plan on using wooden skewers, start soaking them at least 30 minutes before grilling. 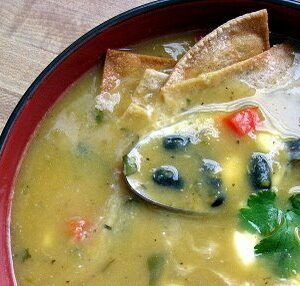 In a bowl, combine the garlic, salt, pepper, oregano, oil, and lime juice, and stir to form a paste. 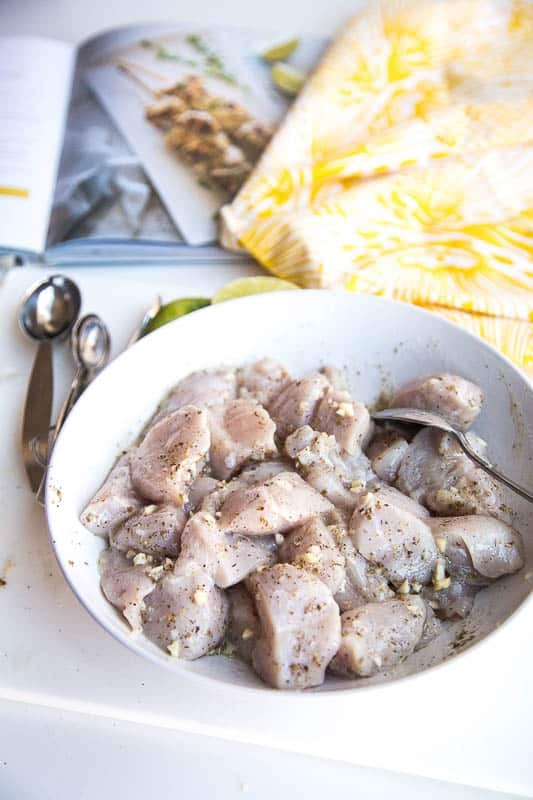 Cut chicken breasts into 1-inch pieces and place in a shallow bowl, container with a lid, or a gallon-sized ziptop bag. Pour the marinade over the chicken and stir to continue. Cover the chicken and refrigerate for at least 2 hours, up to overnight. Prepare a grill for direct cooking over medium heat. Thread the chicken on to the skewers, but not too tightly. Once the grill is hot, brush the cooking grates clean, if necessary (to prevent sticking). 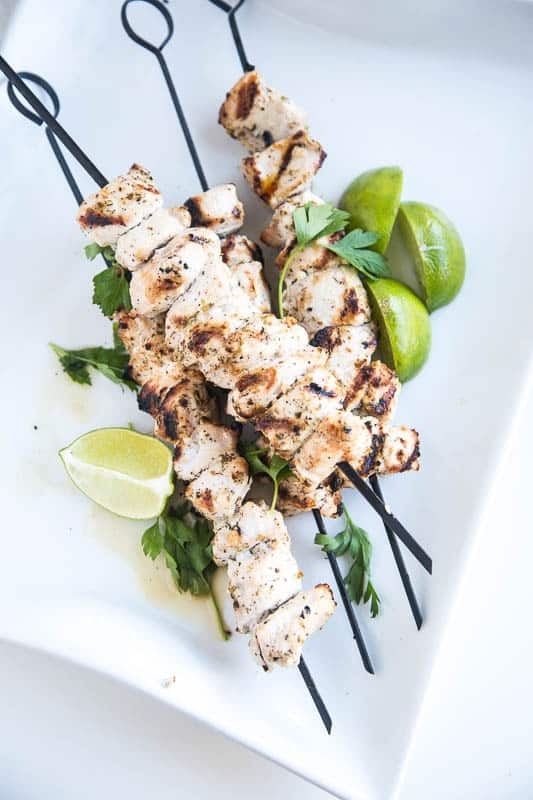 Grill the kebabs over direct medium heat, keeping the lid closed as much as possible, until the chicken is firm to the touch and no longer pink in the center, 8-10 minutes total, turning once or twice during cooking. Take care to not overcook.